Decor To Gifting, Crafter's Nest Can Sort Your Party Out With Ease! Make your party look uber cool, thanks to Grace and Mayudharan from Crafter's Nest in OMR. They can get the decor sorted and can also help you with return gifts, and other stationery items. Be it a baby shower, reception, engagement or a bachelor party. Crafter's Nest is a one-stop-shop for all your decor needs. From setting up a dessert table, with a backdrop, to setting up your little one's room, Mayudharan and Grace from Crafter's Nest can help you get all that done. They also do theme-based parties like a unicorn, Little Mermaid, Pink Princess, etc. The best part about their decor is that they mostly use paper and get all the craft work done. When they started in 2015, Grace and her husband were the ones who used to get all the craft work done. Now, they have expanded and have a team that engages in just craft work. Besides this, they also have a store in OMR that stocks up on different products like handmade boxes, paper cut craft items, decoupage art, handmade gifts, decorations, handmade caps, bottles, stationery items, lanterns, thread, laces, etc. Grace and her team sign up projects only after looking into the venue space. 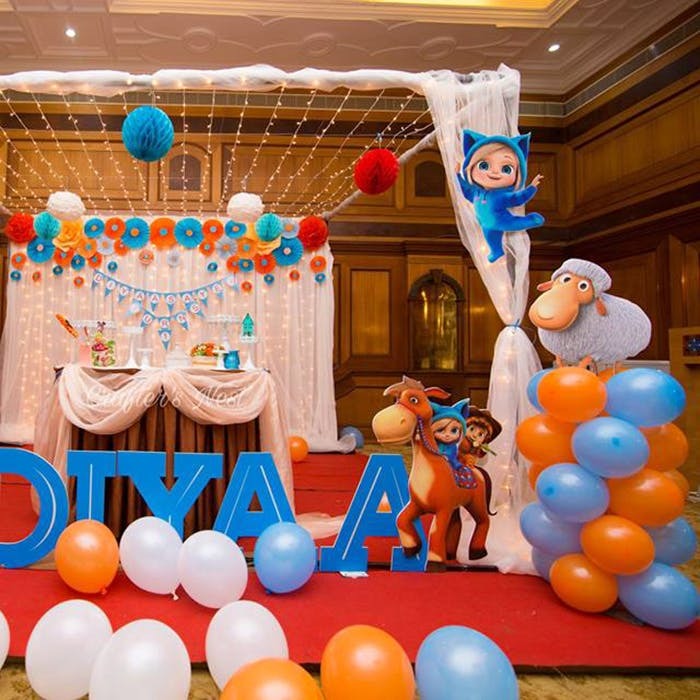 They can get a birthday decor sorted fro INR 12,000.